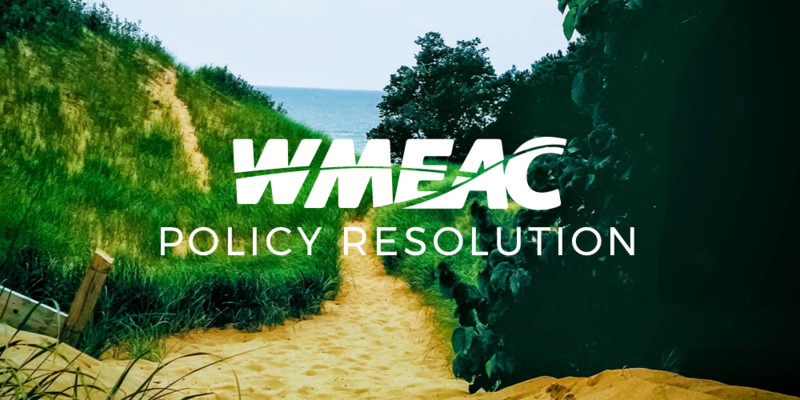 The Policy Committee has worked with WMEAC staff and partner organizations such as the Michigan League of Conservation Voters and Kent County Water Conservation to raise awareness of the dangers posed to the Great Lakes ecosystem, economy, and its people by the aging Enbridge oil pipelines running beneath the Straits of Mackinac. We have specifically worked to get the City of Grand Rapids and area businesses to formally call for a shutdown of Line 5. Several area businesses including Barfly Ventures, Harmony Brewing, and Grand Rapids Brewing Company have signed letters of support. Most of the large municipalities in Michigan have also signed resolutions calling for a shutdown including Detroit, Ann Arbor, Lansing, and Kalamazoo; however, Grand Rapids has yet to do so. Studies have been conducted by the State of Michigan, Universities, and Enbridge with each revealing new and startling concerns over the safety of the lines and the potential damage a spill could cause not just to the adjacent area but to the Great Lakes region. Therefore the Policy Committee recommends that the board formally adopt a position to close Line 5 and also request the City of Grand Rapids sign a resolution for its closure as well.